In today's fast-paced world, it's tough to find the time to read. But with Joosr guides, you can get the key insights from bestselling non-fiction titles in less than 20 minutes. Whether you want to gain knowledge on the go or find the books you'll love, Joosr's brief and accessible eBook summaries fit into your life. Find out more at joosr.com. There are numerous misconceptions about child development that can lead parents to make common mistakes. Discover which childrearing techniques are out of date, and what you can do to facilitate healthy social, emotional and cognitive development in your children. 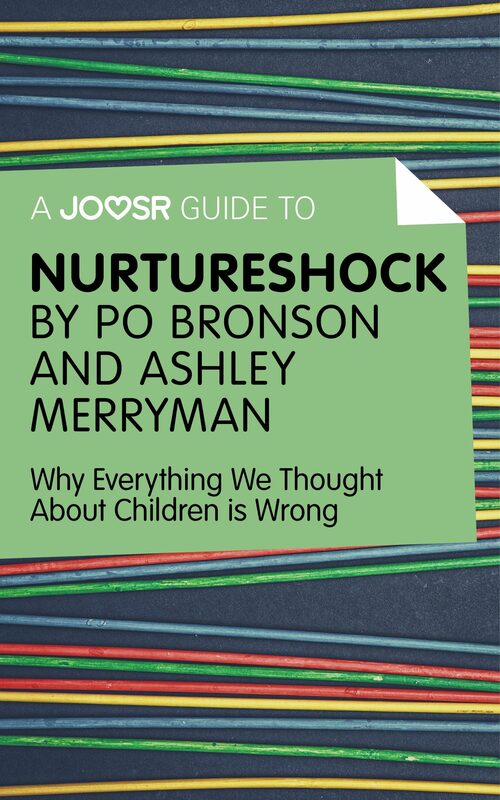 Nurtureshock outlines the fascinating results of recent scientific studies on child development, which will transform your approach to raising and educating your child. By improving our understanding of the way a child's brain works and grows, we can increase learning opportunities for our kids and give them a better chance at becoming happy, successful adults. You will learn: · Why IQ testing young children gives an inaccurate picture of a child's cognitive ability · Why arguing with your teen is actually a sign of a healthy relationship · How praising a child's effort instead of their achievements will benefit your kids. Otros ebooks de PO BRONSON.